After an uncomfortable night outdoors on a dirty mattress I got up early and spoke with Moira at Craterside Supply again. It turns out shes writing a survival guide on how to make it in the wasteland. She offered to pay me if I helped her and I didnt see I had any choice but to accept. For the first part of her book she wanted to know if a local abandoned supermarket had anything useful to scavenge so, while the sun was still low I set out and headed east. My skin had obviously started to adjust to the air and the armor I bought yesterday actually felt comfortable. It wasn’t long until I found the supermarket. I sneaked inside and quickly discovered Moira was not the only person who thought a supermarket was a good place to scavenge for supplies. I could distinctly hear at least three people inside but thankfully they were unaware of my presence. I found a room towards the front of the store full of useful stuff. Food, some ammo for my pistol, even a few hand grenades. I took everything I could. After loading up with everything I could I decided to head deeper into the building, it was now clear the people I heard were’nt just scavenging, they actually lived here. They must be guarding something worth stealing. It wasn’t until later, when I was writing this that I realised how easily and quickly I had started to think like a survivor. Stealing in the wasteland is going to be part of surviving… and thats not all, I realised, crouched at the front of the store that I would need to learn to defend myself, whatever the cost. I managed to sneak up on one of the raiders (a common term for scavengers). I raised my pistol and before I even new what was happening, her body lay lifeless in front of me. I should explain that guns have always been ‘my thing’. 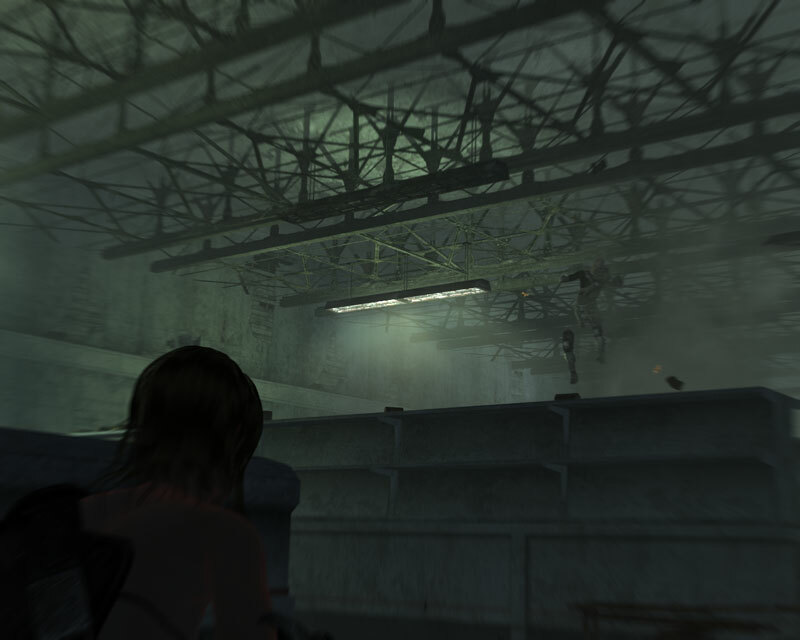 I spent countless hours back in the vault shooting the radioactive roaches that used to infect the lower levels. In fact my 10th birthday present from my dad was a bb gun. I picked up the girls shotgun and ammo and snuck into one of the back rooms where I found a huge stash of various stuff. Medicine, spare parts, more weapons including a machine gun and a rifle. I even found some sort of small nuclear round, though it didn’t fit any of the weapons I had found so far. I also found some more armor, it was in better condition than the one I had bought and was a little less revealing so I quickly put it on. Happy with what I had found I started to make my way out of the store and came across another raider. I used one of the grenades I found to try and cause a distraction, but I got lucky and actually managed to kill the 2nd raider, in fact the grenade sent pieces of him flying off in different directions. 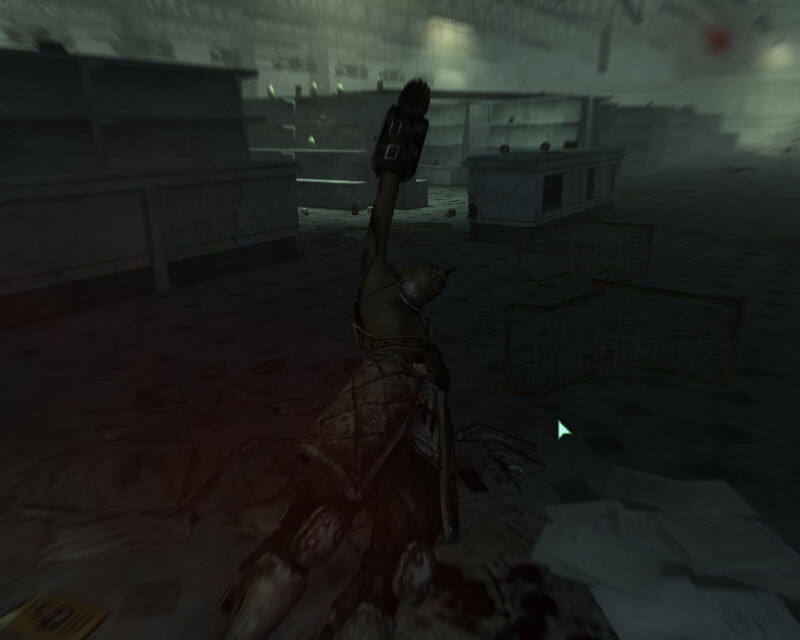 I returned to Megaton and made it inside the gates just before nightfall. I returned to Moira, gave her the information I gathered and she let me keep all the stuff I found. Though I ended up selling most of it too her. I was almost in a daze, I wondered aimlessly around the town during the evening and eventually returned to my mattress. But, I couldn’t sleep. Instead I wrote this update to my diary. I can’t believe I killed today, not once but twice. It was so easy and so necessary but that doesn’t make it right. The thing that scares me the most is the fact I enjoyed the adrenaline rush I got from doing it. I doubt I’ll sleep at all tonight and all I can think about is what my father would be thinking of me if he knew what I had done today.